While Bitcoin, the posterchild for the industry, arrived amid a flurry of media attention in 2009, its emergence could be considered a false dawn, even though the global digital economy is booming. Where are cryptocurrencies headed? While Bitcoin, the posterchild for the industry, arrived amid a flurry of media attention in 2009, its emergence could be considered a false dawn, even though the global digital economy is booming. Its reception from the public suggests that to succeed, cryptocurrency providers still need to overcome a number of perception barriers if they are to have a good chance of convincing the public of their currencies’ merits, and for them to finally enter the mainstream as an alternative to traditional currencies. With the digital economy came new rules, new ways of trading and new ways of doing business. It’s a model underpinned by change, where change is expected and is often the lifeblood of those industries that thrive in it. It stands to reason, then, that a new currency fit for the digital era would be welcomed, but to date the reception shown toward so-called cryptocurrencies has been somewhat lukewarm. This begs the question whether Bitcoin and its peers will be accepted and go into widespread use with consumers and, if so, when? After all, it offers many advantages, ranging from user anonymity, no third-party interruptions, tax-free purchases, low transaction fees and the flexibility to make mobile payments. If we go back to 2013, Bitcoin was enjoying mainstream media coverage for the first time. Back then, many people were expecting Bitcoin to receive global adoption within the next couple of years. With the benefit of hindsight, we can see that hasn’t been the case. On a more upbeat note though, there are no signs that Bitcoin is going to go away. In fact, it is estimated that there are about 10M Bitcoin users around the world today, and transaction volumes are increasing. But while that uptick is encouraging, it’s fair to say that Bitcoin needs to overcome a number of barriers if it is to move successfully to mass adoption. Bitcoin and other cryptocurrencies suffer from enormous price volatility, meaning that their value fluctuates significantly. This undermines the reliability of cryptocurrencies for day-to-day purchases. 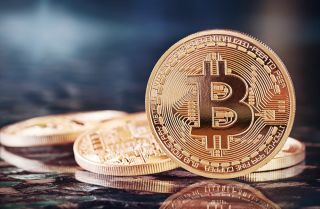 Furthermore, when Bitcoin hits the headlines, the story is often linked to negative news about Bitcoin’s price volatility, the use of Bitcoin to make purchases on black markets, or the use of Bitcoin to pay perpetrators of ransomware attacks. Those are just some of the perceptions entrenched in the mind of the general population, preventing it from taking a more positive interest in Bitcoin. And, if that wasn’t enough to concern already wary consumers, Bitcoin comes with very limited consumer protection which doesn’t aid consumer reassurance. For instance, if you were to lose your credit card, or have a problem with a charge, you can easily contact – say - Bank of America across multiple platforms, or you can walk into one of its branches. Those options are not possible with Bitcoin. If you have a problem with a Bitcoin payment, you can contact the company owning your Bitcoin wallet. However it’s important to take into account that Bitcoin payments cannot be cancelled or altered once initiated. This is what allows merchants to accept cryptocurrency without the risk of chargebacks. It also means users must be careful when they send funds, as transactions cannot be undone, outside of asking the recipient for a refund. Combined, these considerations will have an effect on people’s attitudes toward digital currencies. Cryptocurrencies need to find a better line between convenience and security. In short, Bitcoins need to become easier to use, because for many people setting up a Bitcoin wallet or exchanging a Fiat currency for Bitcoin is not straightforward. This needs to be addressed given that in the online world in particular, convenience is king, because a better option is only ever a click away. Bear in mind that Bitcoin faces competition from many other payment methods, too – some that are trusted and already well established - like MasterCard/VISA credit cards, Apple Pay, and many other mobile payment apps. Therefore, Bitcoin needs to have considerable advantages compared to the competition, like the assurance of fast payments (with settlement conducted in 10 minutes to a few hours) and low costs. However, many countries are working on introducing “faster payments” processing, which will diminish one of the key advantages of Bitcoin. One thing that would help accelerate the pace at which Bitcoin is adopted is if more shop owners and consumers were made aware of the advantages of Bitcoin over other payment methods. Currently only a few hundred online shops and a few thousand physical merchants accept Bitcoin. On the other hand, almost every online shop accepts MasterCard/VISA, and millions of physical merchants do the same. Retailers must show willingness to adopt the new currency if consumers are to be encouraged to do the same. Perhaps more importantly, there is still some uncertainty about how regulators will react to Bitcoin and other cryptocurrencies, which deters financial institutions from adopting them. Hence more regulatory clarity is required before Bitcoin is considered a serious contender to established currencies. And finally, what about security? Some cyber analysts have said that Bitcoin can’t be hacked. Yet, the NSA was hacked. So it is not unreasonable to go on the assumption that anyone and anything can be hacked. That said, there is probably some confusion here between hacking the Bitcoin payment protocols, and hacking Bitcoin wallets storing Bitcoins of individual users. The Bitcoin payment protocols are very robust, and it’s highly unlikely for this to be hacked. However, we have already seen many examples of companies hosting Bitcoin wallets being hacked, meaning users of these companies lose all of their Bitcoins. For instance, earlier this year the South Korean bitcoin company Bithumb was hacked, affecting 30K users. There’s no doubt that cryptocurrencies like Bitcoin have many advantages, but it is also fair to say that there is a lot to be done from a technological, marketing and security perspective before Bitcoin takes off to become the success its creators originally envisaged.